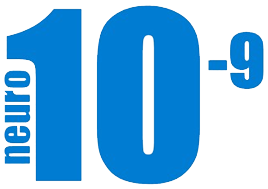 Across all 100 North Carolina counties, UNC faculty and students are engaged in thousands of active research projects that directly address the health, education, and well-being of citizens. The nation’s oldest public university, UNC also serves as a gateway to the world. In the past decade, its researchers have represented North Carolina globally through 954 projects in more than 150 countries, fighting infectious disease, improving health care, and measuring the impact of U.S. foreign aid dollars on global health. At Carolina, the research, discoveries, and creative activity of our faculty and students translate into new businesses and jobs for North Carolina. A major force in the state’s economy, UNC–Chapel Hill drives economic prosperity by attracting the best and brightest minds to the University and providing an environment that inspires creativity and discovery. Carolina invests heavily to create a culture of entrepreneurship and a support network on campus that propels research and innovation into viable startup businesses. Today more than 300 UNC startup companies located in North Carolina provide jobs to nearly 9,000 state residents. These companies employ 72,000 worldwide and bring $10.5 billion in revenue back to the state each year. 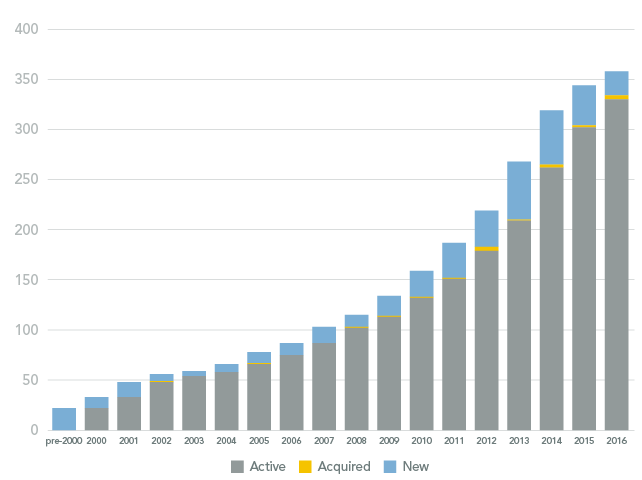 There are 454 active startups connected with UNC-Chapel Hill. Of that total, 376 are headquartered across 16 North Carolina counties. UNC startups employ 8,902 people in North Carolina. 35 UNC startups manufacture products in North Carolina. Of the $11.2 billion in annual revenue generated by UNC startups, 94 percent is earned by Carolina startups headquartered in North Carolina. Out of all companies that got their start at the University, 79 percent are still active (454 out of 575). Bivarus was created in response to frustration among health-care professionals with current patient satisfaction tools and their lack of scientific precision and actionable findings. In response, the company has created a platform to generate precise findings around the quality of a patient’s experience with health care and to provide sound data for improving care. Click here for information on collection of data and UNC startup resources. At Carolina, the research, discoveries, and creative activity of our faculty and students translate into new businesses and jobs. 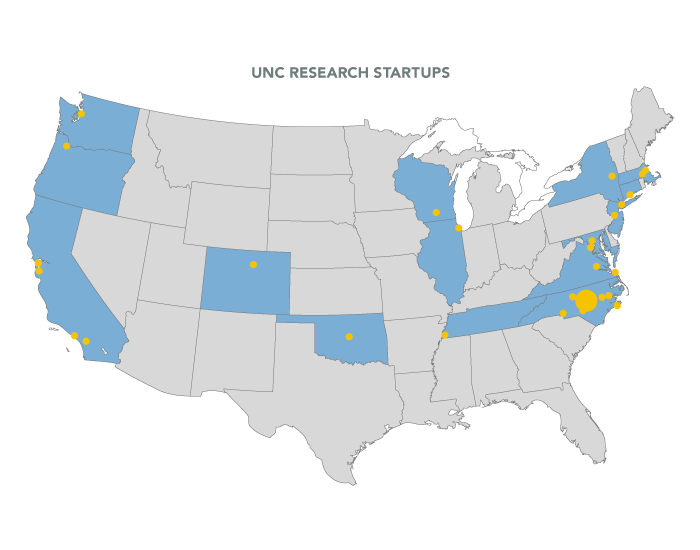 Today over 200 UNC-CH Research startups call North Carolina home, providing jobs to more than 7,000 state residents. UNC Research startups are nurtured, incubated, and accelerated through departments and offices across the university. Through the support of Innovate Carolina’s network, UNC-Chapel Hill startups are well positioned for success as they move through their innovation journey. With a mission to create an environment where innovators thrive, Carolina provides the right resources and connections startups need to nurture their ideas. To further cultivate a culture of innovation and entrepreneurship within the community, Carolina also provides connections to incubators, accelerators, business services and campus innovation programs, including the 1789 Venture Lab, Launch Chapel Hill, KickStart Venture Services and Technology Commercialization Carolina. Carolina also partners with the startup investor community through the Carolina Angel Network, Carolina Research Ventures Fund and Blackstone Entrepreneurs Network. Independently Launched UNC Startups are new businesses created by faculty and students that arise directly or indirectly from their work and experience at Carolina. UNC-Assisted Startups are businesses created by UNC faculty, staff, and students who received direct institutional support through UNC business-plan competitions, entrepreneurship programs and courses, hands-on business mentoring, and incubators and accelerators for startup ventures. UNC Technology-Transfer Startups are businesses created by UNC faculty who license intellectual property created from their scientific discoveries and research. 3rd Rock Sunblock is a pH balanced, alkaline suncare product made entirely and only from food-grade edible ingredients, safe and free from synthetic components and toxic substances. 3rdTech develops advanced 2-D imaging and 3-D computer graphics products for law enforcement and security applications. 410 Medical develops simple tools that help health care providers improve the care of critically ill patients. ABC Insights provides a benchmarking platform for finance executives within higher education to allow member universities to easily perform comparative analyses against peer institutions and to share best practices. ACRIS Pharmaceuticals is a private biopharmaceutical firm that licenses and develops promising life-science technologies for unmet clinical needs. AgBiome, a Durham, NC-based biotechnology company, works with agribusiness-industry leaders to develop products that use microbes to control soil-borne diseases of greenhouse crops and major row crops. 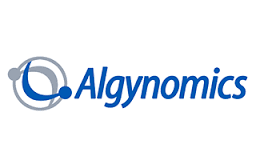 Algynomics develops therapeutics for chronic pain and related conditions, using technologies that identify new drug targets, treatments, and diagnostic responses. Chapel Hill-based Allotropica Technologies offers a proprietary manufacturing process for the high-volume, low-cost fabrication of graphene (carbon), with an initial market focus on electrodes for ultracapacitors. Allotropica’s unique, high-value, enabling component can readily be incorporated into existing manufacturing processes of established ultracapacitors. AlphaVax develops vaccine technology with applications in infectious disease, cancer, and biodefense threats. Altis BioSystems is developing microengineered devices for recapitulating organ level function. 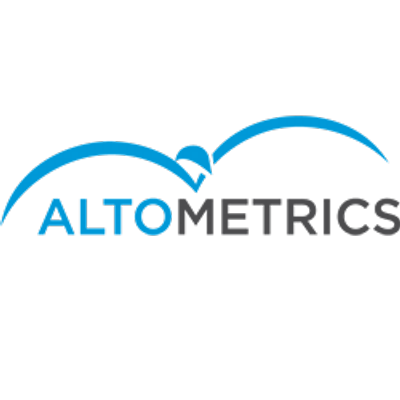 Altometrics develops tools to effectively manage the performance of software applications that run over networks. The core technology, which enables fast, efficient analysis of vast amounts of archived and current data, was invented by a UNC PhD candidate. AngleFix Tech develops screw technology for orthopedic plates. Aquagenx provides microbial water-quality testing products that detect potential health risks such as E. coli bacteria. Arcato Laboratories develops and commercializes oral health-care products. The company offers OraWax, an over-the-counter anesthetic for the treatment of oral discomfort caused by braces. Asklepios BioPharmaceutical (AskBio) develops protein- and cellular-based therapies using a proprietary technology platform called Biological Nano Particles (BNP). 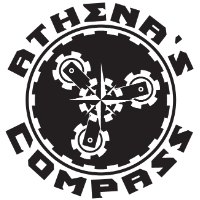 Athena’s Compass delivers exciting and impactful learning experiences to empower and equip youth with the skills needed to succeed in science, technology, engineering, and math. Attagene is a biotechnology company located in North Carolina’s Research Triangle Park. Its mission is to accelerate drug discovery and development by providing innovative tools for examining signal transduction. The company’s research team includes scientists with academic and industrial background with expertise in signal transduction, functional genomics, gene discovery, and disease models. 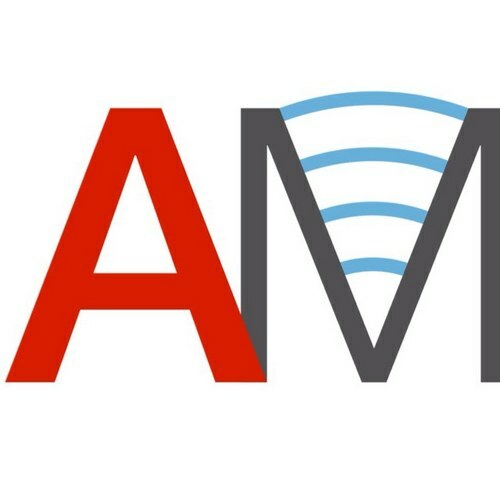 Augment Medical is developing a flexible, low-cost, and easy-to-use communication platform for hospitals and was founded by students studying at the Joint Department of Biomedical Engineering of North Carolina State University and UNC–Chapel Hill. AuthentiForm Technologies is a privately held company in Chapel Hill that focuses on developing methods to unequivocally establish product authenticity. AviFluVax LLC is an emerging veterinary vaccine company, developing oral feed-based veterinary vaccines. Bamboo was formed to advance the work of Dr. Richard Jude Samulski, the Director of the Gene Therapy Center at the University of North Carolina (UNC), from the laboratory into human clinical trials where it could meet the requirements for drug approval. Dr. Samulski is a pioneer in the field of gene therapy. Over thirty (30) years ago, Dr. Samulski was the first person to realize the potential to use the adeno-associated virus (AAV) as a vehicle to replace a defective gene with a healthy gene. Since that time, he has re-engineered the naturally occurring virus to target delivery to certain tissues, de-target other tissues, and improve its safety. This has resulted in over twenty (20) patents related to the use of AAV for therapeutic uses. Dr. Samulski continues to lead innovation in the field of vector optimization and AAV re-engineering. BioDeptronix develops instruments to sense and monitor toxic chemicals and gases in outdoor and indoor air, as well as in lab-created air samples, using changes in the metabolism and gene expression of human cells. BioFluidica manufactures laboratory instruments and instrumentation systems. BioRxn develops NMR-based metabolomic technology including bioreactor and artificial liver systems for non-invasive monitoring of metabolic biomarkers. BioRxn also provides conventional metabolomic services. 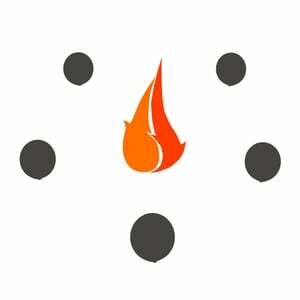 BlackInkMetrics powers GradingHelp, an app designed to automate and customize repetitive feedback on student papers. 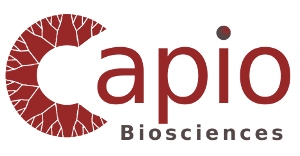 Capio Biosciences is a biotech startup with the central goal of improving cancer management, diagnosis, treatment and surveillance. Capture Pharmaceuticals is focused on developing oral and topical formulations of DTPA prodrugs as radionuclide decorporation agents. Carbon3D, founded by UNC researcher Joseph DeSimone, is developing a new 3-D-printing technology invented by DeSimone and colleagues that can fabricate objects significantly faster than current state-of-the-art 3-D printers. 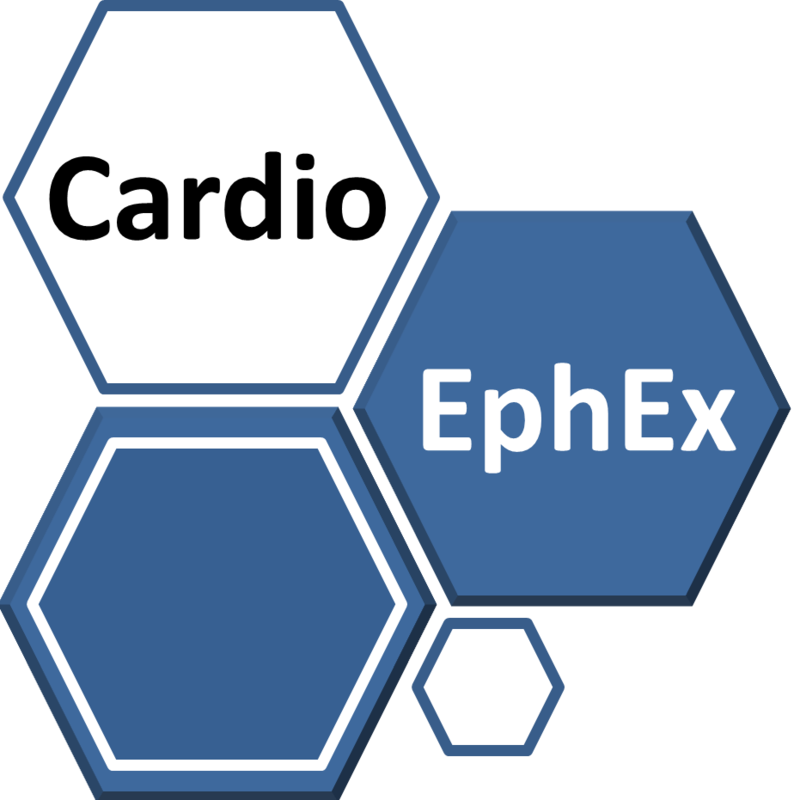 Cardio EphEx is a biopharmaceutical company focused on the discovery of drug candidates to treat cardiovascular disease, with a particular focus on developing therapeutic strategies for indiviuals with heart failure. Cell Microsystems develops bioscience research tools for use in analytical research laboratories. Its first product line is currently in use for cell sorting and cell separation. CertiRx Corporation, based in Durham, NC, develops and commercializes platform technology for authentication and verification of high-value products and important documents. It serves the pharmaceutical, agriculture and food, document security, luxury goods, manufacturing, and electronics industries. Chaperone is an early-phase pharmaceutical company uniquely poised to develop novel drugs to mitigate neurodegenerative diseases such as Alzheimer’s disease, Parkinson’s disease, and ALS through the enhancement of the body’s natural protein folding mechanisms. Chatham Therapeutics is a private, clinical biotechnology business developing gene therapy-mediated cures for hemophilia. As of April 2014, Chatham Therapeutics operates as a subsidiary of Baxter International, Inc.
ChemoGLO develops technologies that detect and remove hazardous-drug contamination in hospitals, pharmacies, and laboratories through its ChemoGLO Wipe Kit and the Hazardous Drug Clean (HDClean) towelette cleaning system. Cirrus Pharmaceuticals assists biotechnology and pharmaceutical companies in dosage-form development projects through research and product creation. 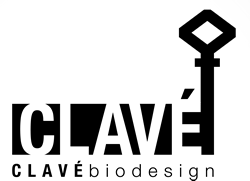 Chapel Hill-based Clave BioDesign develops technologies that enable less toxic and more specific targeting of tumor cells using cell-specific peptides. 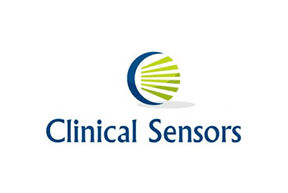 Clinical Sensors develops diagnostic tests and sensors for use in the early detection of sepsis to diagnose infection in intensive care units and assessing prognosis upon treatment. Clinipace Worldwide provides digital contract research solutions for pharmaceutical, biotechnology, and medical device companies. The company also operates a cloud-based application that serves as a technology foundation to various Clinipace clinical-development service teams. The company is based in Morrisville, NC, with additional offices and operations around the world. Clutch Lotion is an antiperspirant hand lotion that keeps your hands fresh, clean, and sweat-free all day. CMP Pharma is a specialty pharmaceutical company that develops, manufactures, and markets a portfolio of branded and generic prescription, nonprescription, and skin-care pharmaceutical drugs to hospital, long-term care, and retail markets. The company is based in Farmville, NC. Combs Lab develops drug therapies for diabetes, including a noninsulin oral medication for type 1 diabetes. 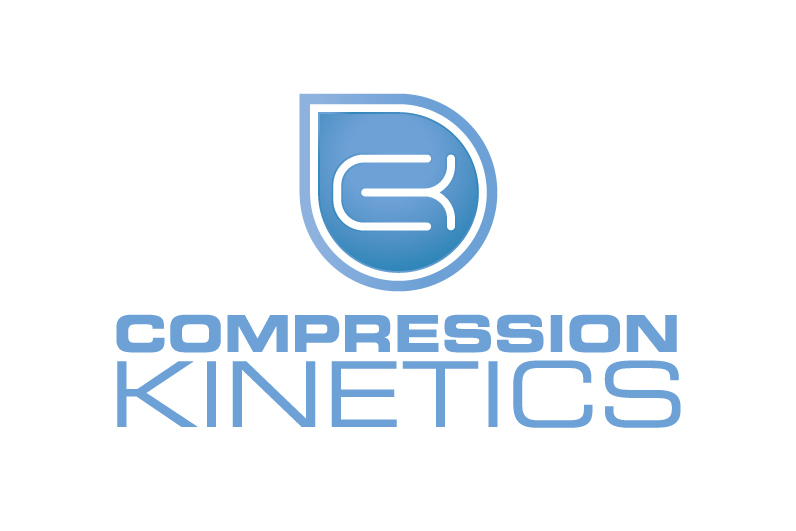 Compression Kinetics, Inc. designs and develops medical devices. It creates compression sleeves that utilizes shape memory alloy to create a pressure wave. The device increases circulation throughout the human body, decreases peripheral edema, and prevents blood clots. Contour Surgical is developing a novel surgical tissue retractor for cardiothoracic procedures. Cortical Metrics is an R&D company that develops noninvasive, biologically based technologies to quantitatively measure brain health. Couragen Biopharmaceutics is a biotechnology company developing gene-therapy and protein-therapy products for preclinical and clinical use for genetic and chronic disease treatment. DarPharma, Inc. is a biotechnology company that develops drugs to treat neurological diseases such as Parkinson’s. dReiniger is a research and development firm specializing in technologies that prevent the spread of infectious diseases. The company’s flagship product, the dReiniger Tuniclave, is a locker that disinfects lab coats in under five minutes and tracks compliance on a coat-by-coat basis, making it fast and easy for medical professionals to reduce the threat of a major infection vector – their clothes. Effipharma develops novel therapeutics for the treatment of disorders of the central nervous system, with a particular focus on Parkinson’s disease, Alzheimer’s disease, and schizophrenia. Empiric Systems provides web-based radiology information, picture archiving and communication, and billing-system software solutions to medical imaging facilities. Based in Morrisville, NC, Empiric Systems has operated since 2008 as a subsidiary of Fujifilm Medical Systems USA. ENCI develops therapeutics to treat breast cancer by testing and refining antibodies. Entegrion develops biological and medical-device technologies to enhance the safety and availability of the human blood supply. The company also provides blood-supply-related contract R&D services to the U.S. Department of Defense. Envisia Therapeutics, formed by Liquidia Technologies in 2013, is a privately held biotechnology company focused on the development of novel ocular therapies. Envisia is leveraging the unique and powerful properties of the PRINT platform to develop therapies for a variety of ocular conditions, the most advanced of which is ENV515, for the treatment of glaucoma. Enzerna is a molecular engineering reagent and custom-service company that has licensed proprietary technologies from UNC to create novel sequence specific RNA restriction enzymes that find applications in life science research and therapeutics. 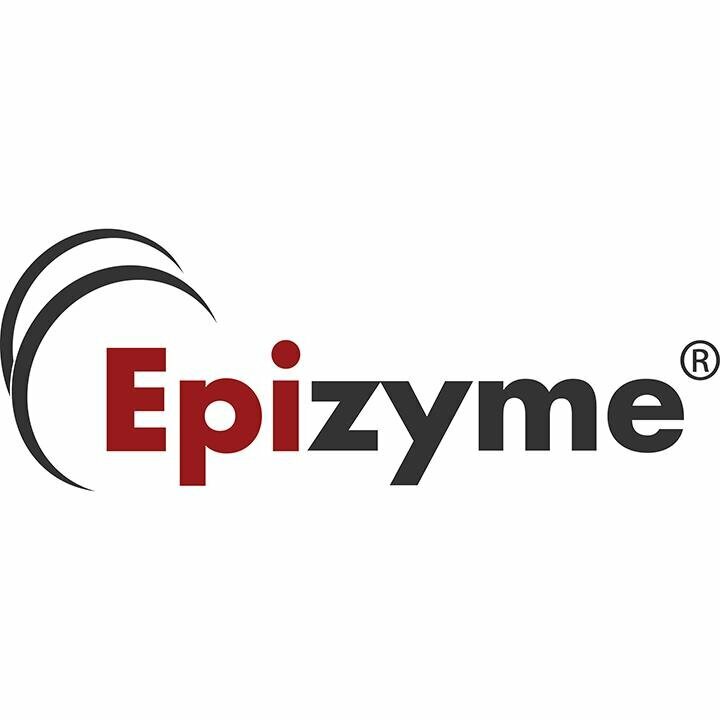 EpiCypher develops and manufactures novel tools and reagents for epigenetics drug development and chromatin biology research. EpiCypher is led by a successful entrepreneur and investor and the founders of EpiCypher are renowned chromatin researchers. The Company’s expertise and unique insight into epigenetics benefits customers in ways that other companies can not duplicate. Booz Allen Epidemico is a platform for monitoring health topics derived from online conversations across media sources. The platform provides custom portfolios by topic, including disease outbreaks, drug safety, product and brand sentiment, patient experience, food safety, and more. This health vigilance product blends leading edge technologies to deliver accessible, high-quality, and actionable insights. Booz Allen Epidemico was developed by a team of industry-recognized and mission-driven epidemiologists, health leaders, scientists, and engineers. Falcon Therapeutics is developing personalized neural stem-cell therapies to treat brain tumors called glioblastoma. Feelin DNA bridges the gap between STEM topics and the visually impaired community by building 3D models designed to fit the needs of students with multi-sensory and interactive features. Durham, NC-based FHI 360 provides technical and consulting assistance to communities, institutions, and governments wrestling with public health and development challenges. It employs 400 people in its North Carolina headquarters and more than 4,000 worldwide, with annual revenues approaching $700 million. Flexcell International, based in Hillsborough, NC, specializes in equipment for scientific research in mechanobiology and tissue engineering. 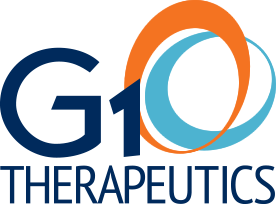 G-1 Therapeutics develops and commercializes small-molecule therapeutic agents to protect bone marrow from radiation or chemotherapy damage. GeneCentric Diagnostics develops molecular diagnostic assays to enable oncologists and their patients to make informed, individualized treatment decisions. Glycan Therapeutics develops therapies for thrombosis and tools to aid researchers in glycobiology, the study of sugar chains. Producing affordable and smokeless charcoal briquettes made from recycled agricultural wastes, GreenChar is saving lives and curbing deforestation in Kenya. Ninety percent of Kenyans use charcoal or firewood to cook – GreenChar provides a green solution. Durham, NC-based Health Decisions provides clinical-research services that include project management, medical writing, data management, biostatistics, quality management, and regulatory compliance services. It also provides strategic consulting and clinical services. HealthSpan Dx is an early-stage laboratory-services company developing a diagnostic blood test that will enable physicians selecting treatments and therapies to maximize patient outcomes. 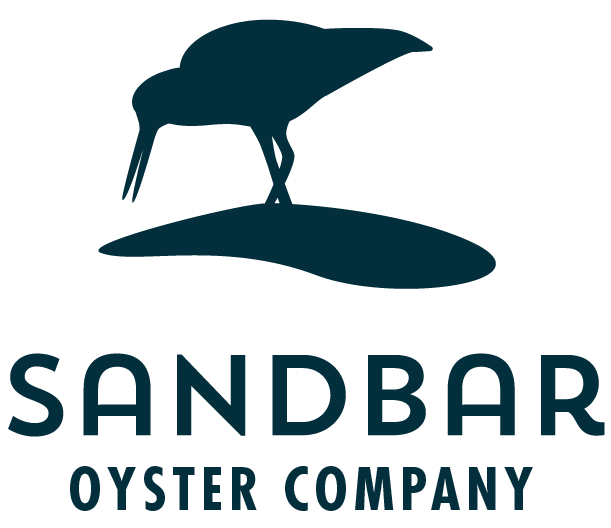 The company was founded based on technology developed in the laboratory of UNC researcher Norman Sharpless in the Lineberger Comprehensive Cancer Center at the UNC School of Medicine. Helodex Biometrics Corporation (HBC) is developing software for identifying individuals and their relations from DNA sequence obtained from emerging sequencing technologies. Hibernaid, Inc. is a pharmaceutical company dedicated to development of medications to treat acute brain injury and other ischemia-reperfusion injuries. HopeCare offers consultation services to hospitals and practitioners to assist in navigating the multifaceted communication challenges inherent in end-of-life health-care decision making. A bio-technical comany, IdentiZyme Defense provides reliable, rapid, cost-effective solutions for chemical agent detection, identification, and protection. ImagineOptix provides breakthrough optical components for bright low-power mobile/wearable displays, pico- to theater-sized projection, optical instrumentation, high-resolution imaging, and flat-lens arrays. IMMvention is developing semaphorin-like therapeutic proteins for autoimmune disorders. Impact story is an open-source Web service that helps publishers and researchers tell the full story of their research impact. Impulsonic uses high-performance computer graphics techniques and the latest research in acoustics simulation to develop high-performance and accurate acoustics-simulation algorithms for architects, acoustics consultants, and government and national defense applications. Renaissance Cell Technologies developed a liver progenitor cell therapy for treatment of liver failure. The company name was changed to Incara Pharmaceuticals and was later sold to Vesta Therapeutics. 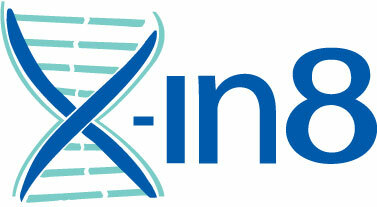 Innatrix Inc. is a small biological product manufacturer in Chapel Hill, NC. 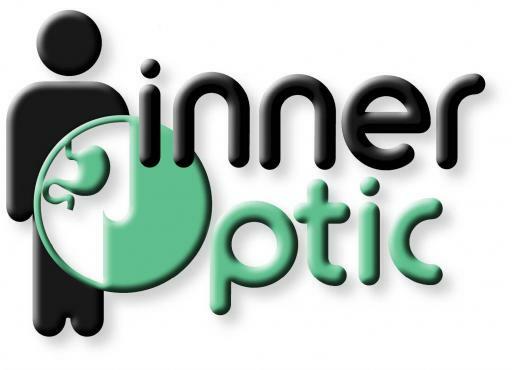 InnerOptic develops real-time medical visualization systems for use in minimally invasive image-guided surgical procedures. Innocrin is a precision therapeutics company, developing inhibitors for cancer treatment. Their developments have high commercial potential to treat non-oncologic syndromes as well. 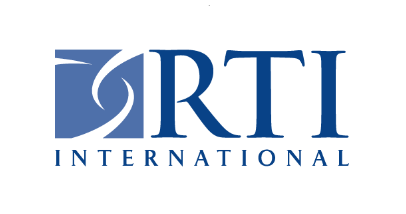 iRT is a behavioral sciences research company that conducts translational scientific studies and training. Inspire Pharmaceuticals is a biopharmaceutical business focused on researching, developing, and commercializing prescription pharmaceutical products for ophthalmic and pulmonary diseases. 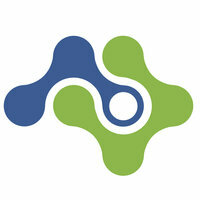 Inspire was acquired by Merck & Co. for $430 million in 2011. IRIS BioMed is developing a wavelength-encodable compound that delivers therapeutic agents to diseased sites with spatial and temporal precision. Potential applications include cancer, auto-immune diseases and vascular disorders. IntraHealth International is a global business that improves health-care services in developing countries by strengthening the health-care workforce and the systems supporting it. It also supports family planning and reproductive health; efforts to improve maternal, newborn, and child health; and the prevention and treatment of HIV/AIDS, tuberculosis, and malaria. Based in Chapel Hill, IntraHealth operates active field programs in more than 20 countries. Invitrox develops specialty disease diagnostics and therapeutics to detect early signs of cellular damage. 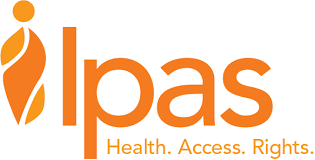 Ipas is a business dedicated to ending preventable deaths and disabilities from unsafe abortions. It works through local, national, and global partnerships to ensure that women around the world are able to obtain safe and comprehensive reproductive care, including counseling and contraception. Ironwood Material Science, a joint venture by researchers at North Carolina State University and the University of North Carolina at Chapel Hill, develops novel materials that can be used as bone cement and artificial bone in both dental and orthopedic applications. Katharos is commercializing a medical device for selective blood-phosphate adsorption that will improve hemodialysis patient quality of life, reduce mortality rates, and lower the cost of health care. 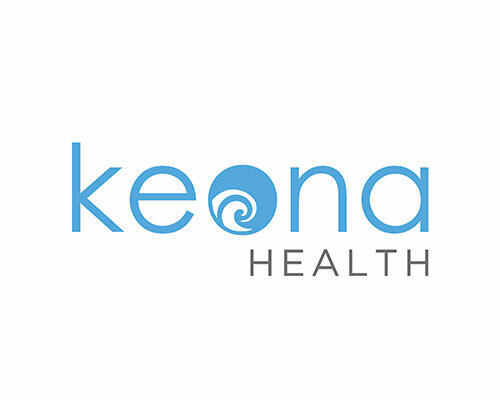 Keona Health, a health-care software company based in Chapel Hill, improves patient communications through cloud and web-based patient communication solutions that collect and store information from phone calls on websites accessible to patients, nurses, and physicians. KindHeart is a medical-simulation company specializing in surgery simulation systems using proprietary, animated-animal organ systems. KinoDyn is a Chapel Hill-based cancer drug-discovery company focused seeking solutions to challenging cancers, including triple negative breast cancer (TNBC), pancreatic cancer, drug-resistant leukemias, and glioblastoma. Durham, NC-based Kryosphere stores and manages active research samples and archived collections through its biorepository. It also provides logistical and management services to academic, pharmaceutical, biotechnology, governmental, and health-care industries worldwide. 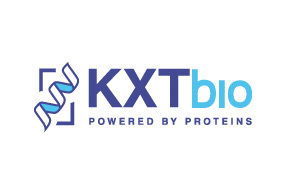 KXTbio is a biotechnology company commercializing novel small-molecule therapeutics focused on protein-to-protein interactions. 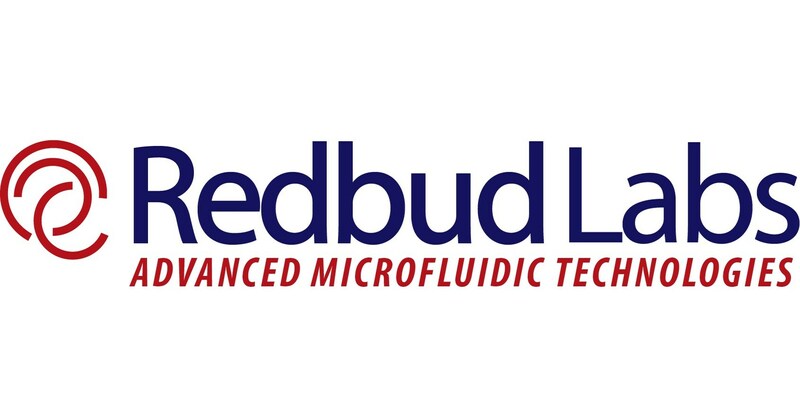 Liquidia Technologies develops precision-engineered particle-based vaccines and therapeutics that have the potential to dramatically improve the quality of human life. The ability to modify nanoparticle attributes allows Liquidia to develop more optimized safe and effective vaccines and therapies for a wide variety of diseases. Liquidia was founded on the discoveries of Joseph DeSimone and colleagues at UNC–Chapel Hill. LotusBioEFx develops performance-enhancing technology through materials, surface, and device engineering, particularly at the micro- and nano-scale. Successful applications include extended-use medical devices such as electrocardiogram clips. LQ3 Pharmaceuticals, based in Morrisville, NC, researches and develops novel therapies for various oral health conditions. Lucerno develops, manufactures, and markets systems to detect and quantify the presence of radiolabeled biomarkers. Lung Banks of America, Inc. Lung Banks of America helps patients with end-stage lung disease secure lung transplants from non-heart-beating donors. Developed from research in the Egan lab at UNC, Lung Banks of America seeks to increase the pool of transplantable lungs available to patients by 20- to 30-fold. MapJoy is a North Carolina-based tech startup that creates innovative 3D design software for Real Estate and Real Estate eCommerce. MapJoy’s 3D design web platform provides new means of visualization, collaboration, and sharing amongst content creators, designers, and consumers. Medical Product Analytics is a medical consultant group dedicated to helping businesses evaluate the commercial potential of new medical products and technologies. A spinout business from the Lineberger Comprehensive Cancer Center and the Eshelman School of Pharmacy, Meryx is working with the National Cancer Institute to develop a novel therapeutic treatment for acute lymphoblastic leukemia. Micell Technologies is a biomedical company that enhances the performance of cardiovascular medical devices with innovative drug-delivery systems. 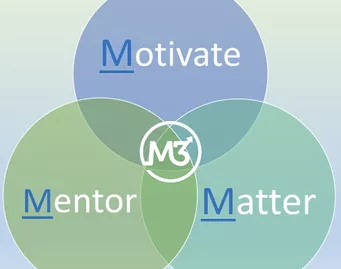 Mission3 is an organization which is focused on educational innovation, faculty development, and technology to enhance medical education and delivery. Molecular Orthopaedics develops gene therapies for osteoarthritis, with applications in human and animal health. Mucommune is focused on harnessing lgG-mucin interactions to reinforce mucosal health against microbial infections. Mycosearch develops and produces fungal extracts for drug research. NanoBiologiX develops targeted chemotherapeutics to treat cancer using nanotechnology. NanoCor Therapeutics is a biotechnology company founded to commercially develop a minimal-invasive treatment for chronic heart failure. NC Fisher Research provides grant strategy and preparation services to small biomedical research businesses with a specialization in immunology. The company’s services include assistance with small-business biomedical research-grant strategy and preparation, including SBIR/STTR grants, with an immunology specialization. Ndimo is developing a software tool for multidimensional velocity measurement in ultrasonic imaging. The technology will be applied to enhanced cardiovascular disease diagnosis. NeuroGate Therapeutics develops novel, patentable compounds for the treatment of neuropathic pain and epilepsy. NeuroNano (NNP) uses patented and patent pending polymer formulations to deliver proteins to the brain. Its first efforts focus on the delivery of leptin for the treatment of obesity and BDNF for the treatment of Rett’s Syndrome. PATI is a tongue protector ergonomically designed to safely and effectively prevent tongue biting and drooling during a seizure. It is housed in a kit that includes a wristband. New Mind Education is a Raleigh, NC-based business that provides enhanced language and academic programs that prepare students for academic and future success in a global environment. New Paradigm Therapeutics is a UNC-Chapel Hill School of Medicine spinout company that develops therapies for treatment of patients with severe osteoporosis. NextRay offers a new medical imaging technology called Diffraction Enhanced Imaging, which produces images superior to those produced by current x-ray imaging while exposing the patient to less than 1 percent of the radiation dosage. Novametics develops and commercializes innovative blood-coagulation diagnostic products. Novan develops innovative, first-in-class therapies that have therapeutic potential in applications related to immune-system response, wound healing, and blood pressure regulation. 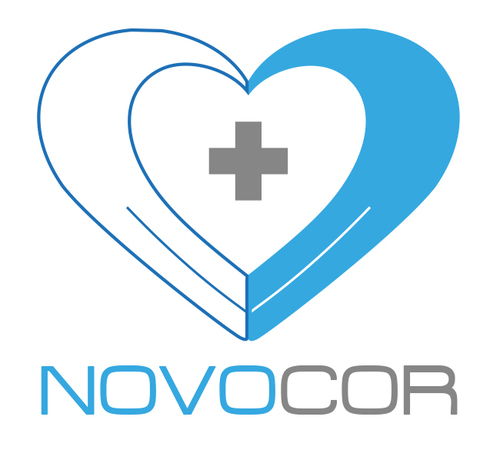 Raleigh, NC-based Novocor Medical Systems has developed HypoCore, a chilling device used by EMS personnel and first responders to induce therapeutic hypothermia in patients suffering from cardiac arrest, traumatic brain injury, heat stroke, and severe concussions. Novoclem, previously Know Bio, a spin-off of Novan, works to develop cystic fibrosis treatments including a nitric oxide technology. Nutrigene Sciences offers genetic testing and gene-guided medical foods for multiple medical conditions including fatty liver disease and male infertility. Oriel Therapeutics, based in Morrisville, NC, develops respiratory products as generic alternatives to patented drugs for asthma and chronic obstructive pulmonary disease. As of June 1, 2010, Oriel Therapeutics operates as a subsidiary of Sandoz, Inc.
Panacos Pharmaceuticals Inc. is developing the next generation of anti-infective products through discovery and development of small molecule oral drugs for the treatment of HIV and other major human viral diseases. Parion Sciences develops therapies to treat defects of the innate mucosal defense system in respiratory and ophthalmology diseases. Persever8 uses technical training and life skills education to cultivate the potential of people with autism to obtain fulfilling jobs and live meaningful, independent lives. PharmatrophiX is a biotechnology company that develops drugs to prevent neurodegenerative diseases. 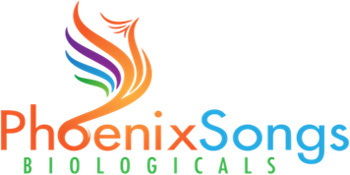 PhoenixSongs is a global life science company dedicated to developing and providing novel cell-derived model systems for research and drug discovery. PleX Diagnostics is a clinical diagnostic development firm focused on cost-effective, multiplexed oncology diagnostics. Polyglot’s software is designed to improve patient understanding, thereby improving health, reducing costs and increasing patient satisfaction. Premitec is a biomedical research and development company that develops advanced technology platforms for biocompatible packaging schemes, flexible implantable devices, and high-density interconnects between components within biomedical devices. 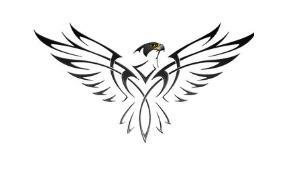 Project Lazarus is a public health oriented non-profit organization established in 2008 in response to extremely high drug overdose death rates in Wilkes County, North Carolina. ProtoDia is a cancer diagnostic startup. Pulvinar Neuro conducts high-quality non-invasive brain stimulation research. Qualiber is a nanomedicine company with an innovative drug-delivery technology platform to enable targeted delivery of siRNA, small-molecule therapeutic agents, and genes for the treatment of cancer and liver diseases. 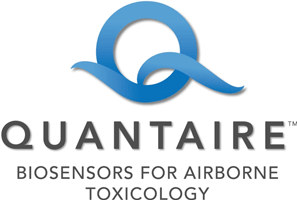 Qualyst is a biotechnology company providing drug transponders used in cell-based research. Quintiles, a global contract-research organization, provides clinical-trials and research services to biotechnology and pharmaceutical clients in the Americas, Europe, Africa, and the Asia-Pacific. Headquartered in Durham, NC, it has supported the development and commercialization of the world’s top 50 best-selling drugs. Founded by UNC biostatistician Dennis Gillings, Quintiles is the world’s largest provider of biopharmaceutical development and commercial outsourcing services. It employs more than 27,000 people worldwide, including over 2,000 in North Carolina. Complementing the newly dedicated HIV Cure Center, Qura Therapeutics is a unique partnership between UNC-Chapel Hill and GSK that manages intellectual property, commercialization, manufacturing, and governance. Realtromins develops advanced medical devices that provide an early warning to track vital changes in critically ill or hospitalized patients, identifying high-risk individuals to facilitate immediate changes in medical management, improve patient safety and outcomes, and reduce health-care costs. Redbud Labs develops technologies to measure fluid viscosity and cell membrane rigidity for biomedical instruments designed to diagnose clotting disorders and cancer metastasis. Regado Biosciences, Inc., a biopharmaceutical company, engages in the discovery and development of aptamer-based, antidote-controlled therapeutics. It provides REG1 that is used in patients suffering from acute coronary syndrome who undergo coronary revascularization procedures – including coronary artery bypass grafting and percutaneous coronary intervention. 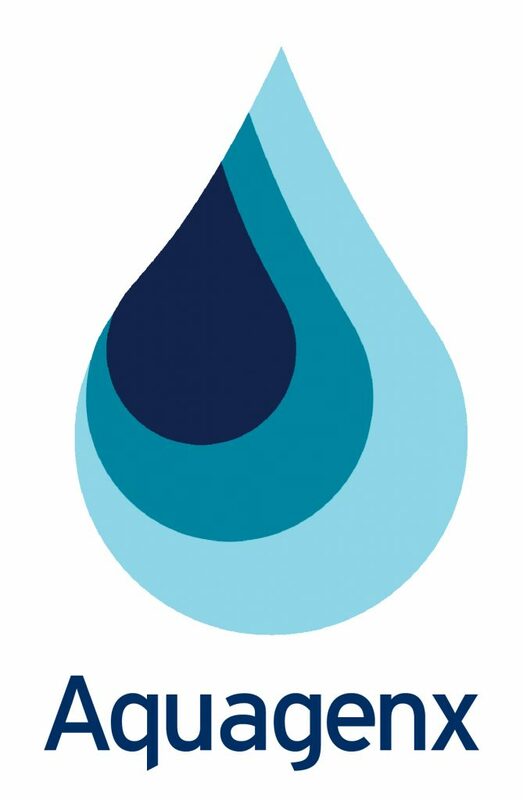 RethinkH2O helps water-intense industries such as automobile and textile manufacturers, hospitals, and the hospitality industry identify and address their unique water costs, challenges, and opportunities. Reveris is a pre-clinical stage pharmaceutical company developing novel therapeutics for triple negative breast cancer. Rhexis Surgical Instruments created the AutoRhexis, a device for precise cutting of tissue in cataract surgery. Chapel Hill-based Rho is a contract-research organization that provides clinical research services to pharmaceutical, biotechnology, and medical device companies, and to academic and government organizations. RTI International, one of the world’s leading research institutes, provides research and technical services to businesses and governments in more than 75 countries in a wide range of fields including health and pharmaceuticals, education and training, surveys and statistics, energy and the environment, laboratory testing, and chemical analysis. Founded jointly through the efforts of UNC-Chapel Hill, NC State University, and Duke University, it currently employs more than 3,700 people around the world. Sanitation Creations offers environmentally friendly, hygienic sanitation solutions that are odorless, waterless, and economical, targeted for use in developing countries. 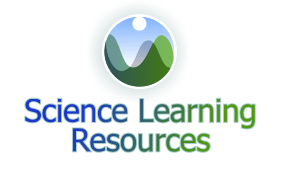 Science Learning Resources develops original technology and content to bring real world science to the virtual world of the Internet. The company was formed in 2001 to spin-out science education resources and curricula developed by Dr. Gary Duncan at the University of North Carolina at Chapel Hill. Science Policy Action Network Inc. The Science Policy Action Network encourages scientific outreach by motivating scientific advocacy, providing representation on behalf of the scientific enterprise, and improving STEM education within the state of North Carolina. Scientists with Stories was founded by five PhD students at Duke University and UNC Chapel Hill to address the gap between science and society. In 2013, the venture was incubated by the UNC Morehead Planetarium as a media and graduate education program. Senaptec provides state-of-the-art technologies, products, and programs designed to assess, analyze, and improve vision and sensorimotor skills with applications for sports, military, and health industries. SeqQuest is a visualization software company for DNA and RNA sequencing data. 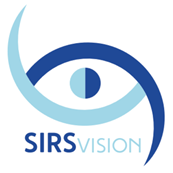 SIRSvision creates Simultaneous Image Refraction System (SIRS) technology, which improves the refraction eye exam by making it faster, more accurate, and less confusing. Size Me Up offers a web-based application called SizeWand that enables uses to identify their correct clothing size for online garment purchases. 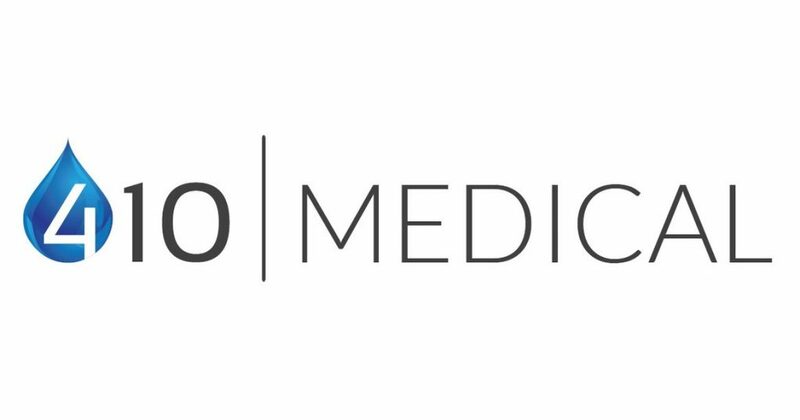 Sono Health and Wellness is an education company developing online health courses for middle and high school students. 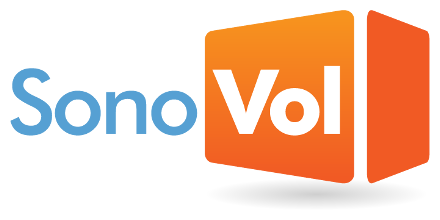 SonoVol develops hardware and software that provides tomographic imagery quickly and at reduced costs to researchers as an alternative to expensive MR or CT scans. Spirovation is specialty contract research organization affiliated with the Marsico Lung Institute at UNC. It seeks to drive breakthrough drug developments in respiratory medicine by providing leading scientific expertise and the broadest array of translational medicine capabilities available in respiratory research. Spyryx develops therapies for treatment of cystic fibrosis and chronic obstructive pulmonary disease. 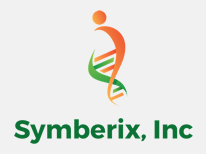 Symberix is a life-science firm that develops drugs to modulate bacterial factors in the human microbiome that impact disease, including nonlethal, selective, and potent therapeutics to alleviate the toxicity of chemotherapies and long-term use of NSAIDs. Syzygy designs and manufactures high-performance diffraction gratings for instrument builders, offering modeling and design services, design-review support, and custom gratings. Customers include national observatories, large telescope projects, and major universities. TARGET PharmaSolutions was formed in February 2015, based on the success of HCV-TARGET, a case study of the model in Hepatitis C.
The Targeted Reading Intervention (TRI) is a professional development intervention designed for elementary students who require additional reading instruction and their classroom teachers. Via remote webcam, trained coaches with reading expertise provide one-on-one, ongoing support to build capacity in reading instruction with teachers. Terra Dotta offers products and services in higher education software. 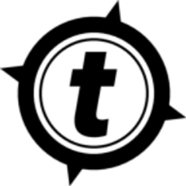 TerraHub is a mapping service that provides compatible tools that help customers build, visualize, and analyze maps and map-based data in real time. TheraLogics develops biopharmaceuticals to control and treat inflammatory diseases through the use of a major biological molecule, the protein NF-kB. Diseases targeted by the company include chronic inflammatory arthritis, muscular dystrophy, and Parkinson’s disease. 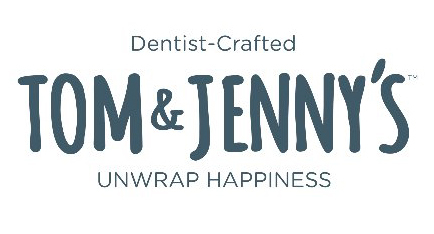 Tom and Jenny’s is a candy company that uses all-natural, plant-based sweeteners proven to reduce cavity-causing bacteria by up to 70 percent. UltraLinq Healthcare Solutions provides web-based ultrasound and image management systems for evaluating, sharing, and archiving ultrasound imaging exams and reports. It serves physicians, imaging technologists, and health-care administrators and is jointly based in Raleigh, NC, and New York, NY. Valor Water Analytics combines world-class analytics and deep experience in the water sector to provide utilities with solutions-oriented analytics to inform financial and water resource decision-making. Valor was founded in 2013 based on a set of analytical methodologies developed at the Environmental Finance Center at the University of North Carolina at Chapel Hill. Vascular Pharmaceuticals develops and commercializes therapeutic products to treat secondary complications of diabetes. Viamet Pharmaceuticals discovers and develops small-molecule compounds that target metalloenzymes in infectious disease, oncology, and crop protection. Virtual Kinetics offers an easy-to-use app that allows physical therapists to make the most of their clinical skills and knowledge to better support their patient’s recovery. Wildcat Nanoglo specializes in the translational development of carrier-mediated agents (CMA) — vehicles for the administration of nutrients and pharmacuetical drugs — applying technologies that assess the movement of such nutrients and drugs in the body. X-In 8 Biologicals develops technologies to prevent and treat tissue damage caused by the return of blood supply to tissue following a period of lack of oxygen due to events such as organ transplant, myocardial infarction, or stroke. XinVivo, Inc., a medical device company specializing in state of the art dental X-ray imaging systems. XinRay Systems develops and manufactures multibeam x-ray sources and systems for diagnostic medical imaging, homeland security, and industrial inspection. XinRay Systems is wholly owned by Xintek, Inc.
Xintek develops and manufactures nanomaterial-based field emission technologies and products for information display, diagnostic medical imaging, and homeland security. 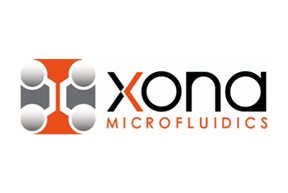 XONA MICROFLUIDICS offers a wide selection of Neuron Device product arrays fabricated out of an optically transparent and biologically inert polymer. Xona’s Neuron Devices allow axons and dendrites to be fluidically isolated from cell bodies. ZeroPoint Dynamics develops computer and network security products that rapidly analyze e-mail, documents, and web content to prevent data breaches and loss.